STEPHANIE SYJUCO creates large-scale spectacles of collected cultural objects, cumulative archives, and temporary vending installations, often with an active public component that invites viewers to directly participate as producers or distributors. Working primarily in sculpture and installation, her projects leverage open-source systems, shareware logic, and flows of capital, in order to investigate issues of economies and empire. Recent projects include a collaboration with the FLACC Workplace for Visual Artists in Belgium on a body of works utilizing 3-D scanning of Belgian and Congolese antiquities to produce hybrid ceramic objects addressing the legacy of colonialism, empire, and trade routes. 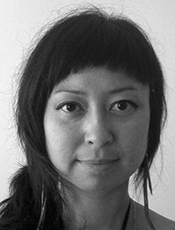 In 2014, Stephanie Syjuco was named a Guggenheim Fellow. Syjuco developed a project for the San Francisco Museum of Modern Art titled, “Shadowshop” in 2011, and is currently developing a two-year project commission for the SFMOMA under the topic of “Public Knowledge,” excavating and amplifying hidden bodies of knowledge. Born in the Philippines, she received her MFA from Stanford University and BFA from the San Francisco Art Institute. She has shown extensively nationally and internationally--her work has been included in exhibitions at MoMA/P.S.1 and the Whitney Museum of American Art in New York, NY; SFMOMA in San Francisco, CA; ZKM Center for Art and Technology in Karlsruhe, Germany; Z33 Space for Contemporary Art in Haselt, Belgium; the Havana Biennial in Havana, Cuba; The Asian Art Biennial in Taichung, Taiwan; and The California Biennial in Newport Beach, CA, among others. She is represented by Catharine Clark Gallery in San Francisco and Ryan Lee Gallery in New York. Syjuco is an Assistant Professor in Sculpture at the University of California, Berkeley and lives and works in Oakland.